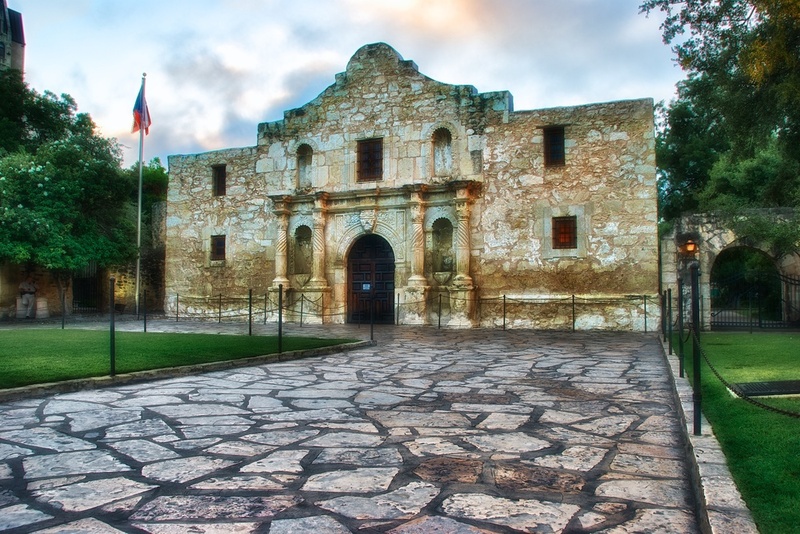 I spent a lot of my formative years in San Antonio, TX and as a result have been to the Alamo more times than I can remember. It figures prominently in Texas history, so it was always at the top of the list for out of town visitors and field trips. Once I moved away, I sorta forgot about it and thought I may never return. Enter my photography habit. I spent a weekend down there a while back with my Mom, and of course got up early one morning to go shoot downtown around the Riverwalk area. I had forgotten how close the Alamo is to the Riverwalk and so I sort of stumbled upon the Alamo that morning, luckily finding it without a crowd of tourists (which is hard to do). It's interesting how photography gives you a new appreciation of things, even stuff that you have seen so many times you almost can't stand it. Photography causes you to look at things differently, and with a new set of eyes, casting them in a new and interesting light. It surely heightened my appreciation of this fine structure. Thanks for stopping by!